A new way of trading, it`s easier than you believe!!! A fully automated trading system which sets new standards !! 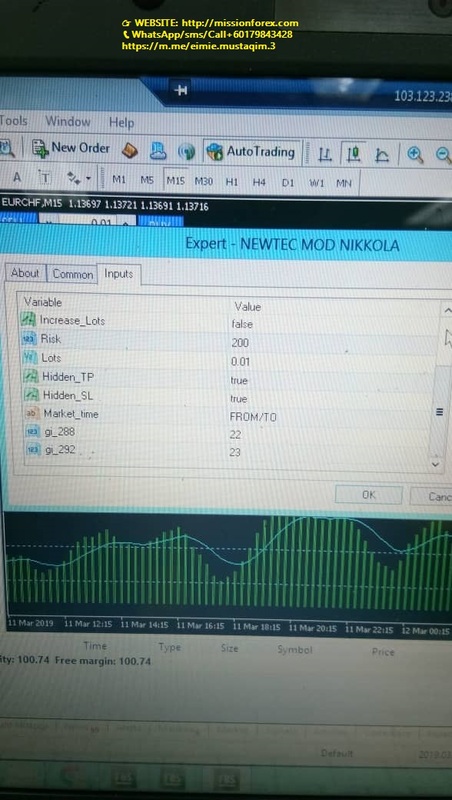 Ø You are new in forex trading or you be trading since a long time? Ø You`ve allready tested many different trading systems (Expert Advisors), and none of them kept what they promised? Ø You allready have a profitable system and you still looking for a suitable amendment statement? Ø SYou are looking for the best system, but you have not found the right one so far? Ø You want to live from Forex trading, but you have not the necessary Know-How? Ø You allready trade for a considerable time but you can´t generate consistent profits? In this offer you`ll get an unprecedented trading software! No commerical $99 system, which will kill you account balance sooner or later! This is a private Expert Advisor which you´ll get nowhere else! I´m full-time in Forex since almost 5 years! Of corse I´ve seen many things and I´ve allready tried a lot of different systems and EA´s, nothing of them worked! After I´ve spent a lot of money and a lot of time I begun to study the forex market! After I understood the market and the other factors as emotions for example, I´ve earned a lot of money! Now that´s real trading! So I looked for a way to automate my strategies and trading technique to safe a lot of time! So I learned the mq4 language! Today I only trade with automatic trading systems (Expert Advisor) mainly on EURCHF! There are many positive Reasons for it! I´ve needed overall almost 2 years to develop this brilliant system! I claim that you will get no better EA for this currency pair at the moment! No „one night wonder“!!!! works ALWAYS!!!!! This strategy is aimed at simplicity as well as high probability trades. I have been in the equity market for almost ten years now and in the forex market for two years. I learned very early that forex trading is not for the shaky ones. One must have a tested and definite trading strategy as well as well organized discipline to follow the strategy and execute the plan as to the letter. One must be exact and precise.